Product development at Carboline is driven by a passion for performance and innovation, and their continued focus and understanding of customer's needs drives product development. All new products go through stringent internal and external testing, which is meaningful, realistic, and based on decades of knowledge and experience. When a new product is released, Carboline know it will perform. Carboline's comprehensive line of problem-solving technologies has earned the trust and confidence of customers around the globe. Technologies include water-based, 100% solids, and VOC-compliant formulations backed with extensive testing and multiple case histories. 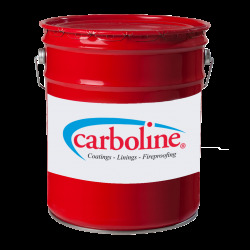 Whether you need corrosion protection, fire protection, chemical resistance, long-term weathering, color stability, quick-to-service, abrasion resistance, insulation, heat resistance, or immersion linings, Carboline can deliver.